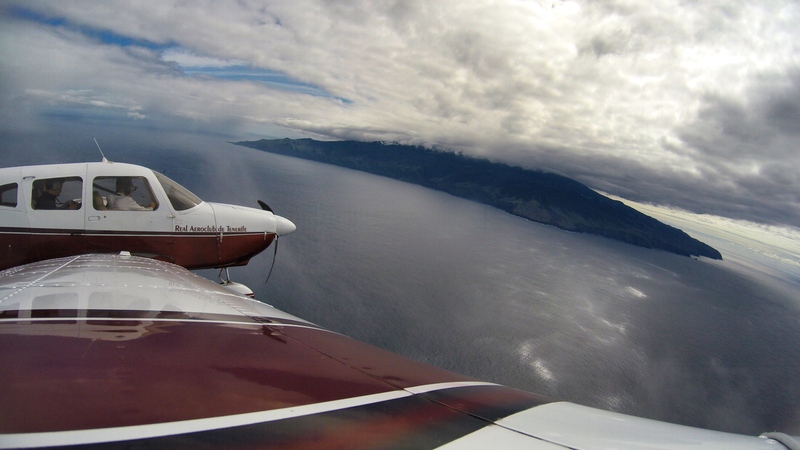 Recently I’ve made a flight with 2 friends spotters on the Piper from Tenerife North to La Palma and back. As this was the first time for them on a small plane like this one, they were really enjoying the views from the cockpit and also from the co-pilot seat. 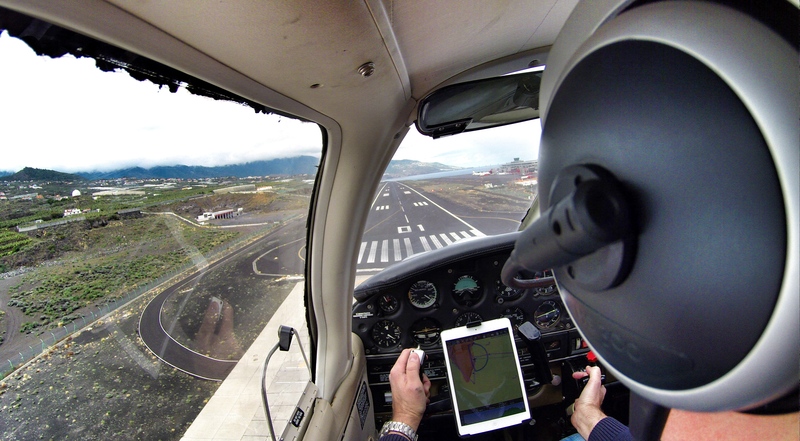 The basic instrument training I´ve done was a great help to maintain the plane on the desired track when descending through the cloud layer. 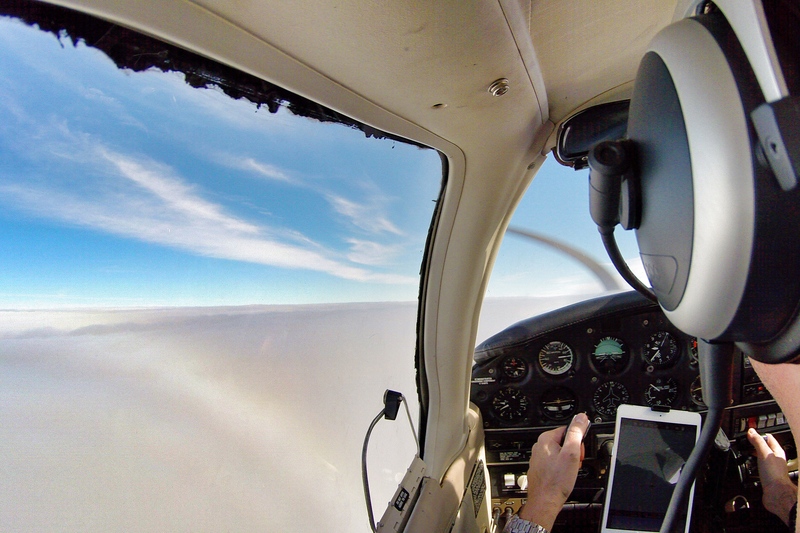 The basic thing is to look inside the cockpit on the instruments and trust your instruments and don’t look outside. 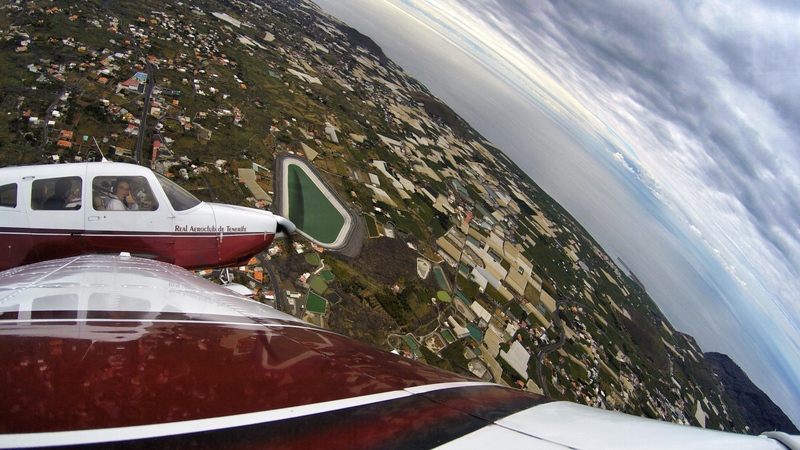 We did one touch and go at La Palma Mazo Airport (GCLA) and returned back to Tenerife North (GCXO). It was a great trip with great views in a great company! Here I share with you some of the views and of course a short video as well. Yesterday I have absolved the second mission of my basic instrument flying module (BIFM). I am already starting to feel the difference between the first and second flight. I know what to expect from the plane which I wasn’t flying for almost 6 years and start to get more familiar with the airport as well. On the first time it was a combination of too many new things, which made it a bit more complicated. 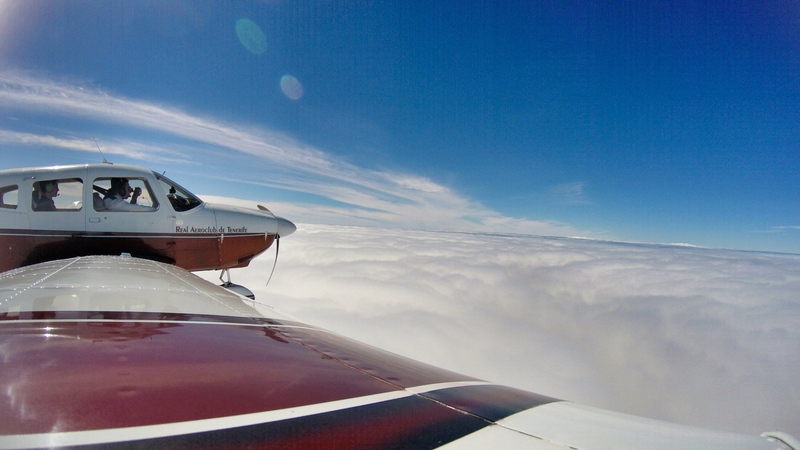 The manouvers helped me to learn to look inside the cockpit when flying into the clouds. I feel I did some improvements since the first flight. It is easier to watch more than one instrument on time, to maintain a certain heading (however sometimes the plane still goes its own way, but we are working on it…), and to get orientated in the space without any visual references. In the first mission I´ve basicaly stopped thinking about the Murphy’s law, that there is always a mountain hidden behind the cloud. I started to concentrate more on the instruments inside the cabin, without looking outside. Don’t want to get to confident, but I am simply feeling safer. Today we have practiced some new manouvers; and the weather was just as perfect as during my first session! Clounds, clouds, clouds… Shortly after take off, my instructor covered the windshield, to not to get disctracted by looking outside. Actually the whole week I was hoping to have this kind of weather; with clouds and poor visibility (on normal occassions when I fly I pray for CAVOK and good VFR weather). In todays missions we have practiced descent and climb at 500ft/minute maintaining certain heading and speed and rate of descent/climb. It requires quite a lot of work and concentration. But once you discover how to do it right, it goes easier. The important thing is to get used to scan/crosscheck all instruments at once and keep an eye on every instrument simultanously. 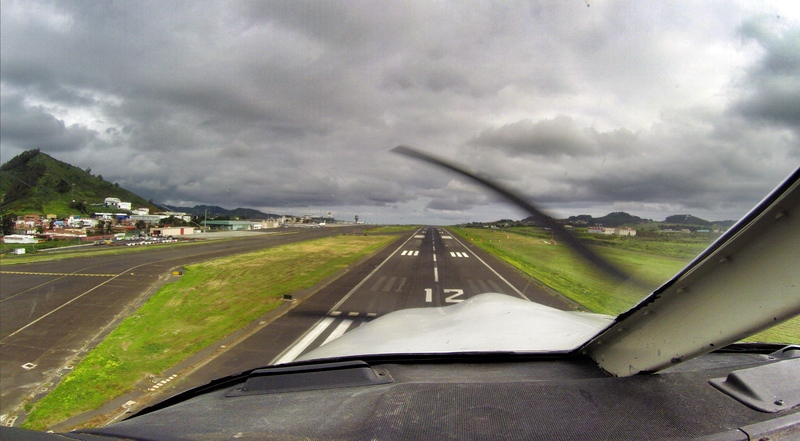 Try to not to focus (stare) on one instrument only, otherwise the plane starts to go its own way. We have made coordinated turns as well: take your current speed, divide it by 10 and add 7 degrees. This formula will give you the angle of bank to be maintained during the standard turn. After today´s flight I was not exhausted like during my first mission, but there is still a lot of work to be done. Actually somehow it makes fun. I know, that I am improving my skills and doing something for the safety of the flight. I´ll have to work more on the interceptations of the radiala and I look forward to the next mission. I like quite a lot the debriefing. TO hear what went good, what went wrong, I can ask any doubt I have to a person who knows how it works. It is good to go back to the basics and refresh the knowledges. A good thing is also to take notes from the debriefing; or record the flight. When you watch it at home, you detect things you could have done different way, and improve your skills before your next flight. On the image of my today’s flight I can see that I haven’t applied correctly the wind correction when flying a certain radial, now I clearly see that I have to have it on my mind next time. I would really recommend this course to every PPL pilot, actually it should be a part of the basic PPL training. I am quite sure it makes me a safer pilot. 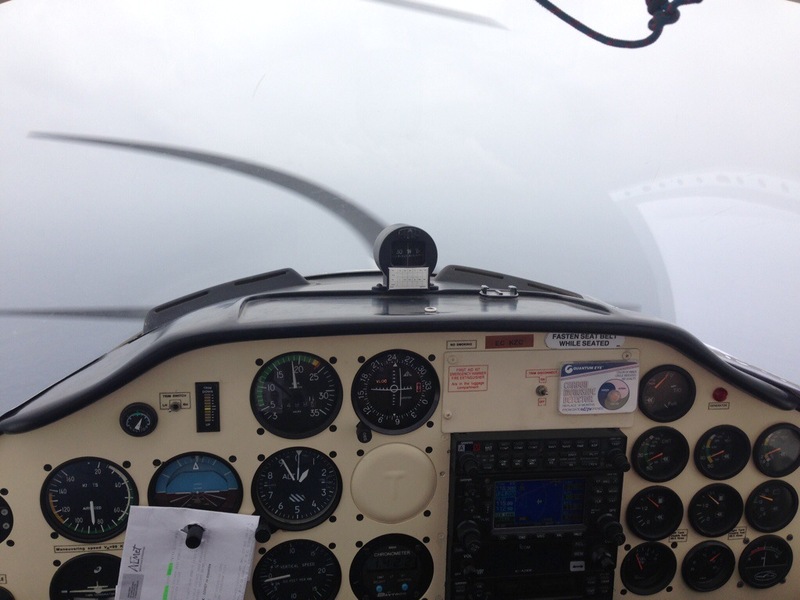 I would even love to make the whole IFR training, who knows, maybe in the future?